This was originally an Epic project of mine. 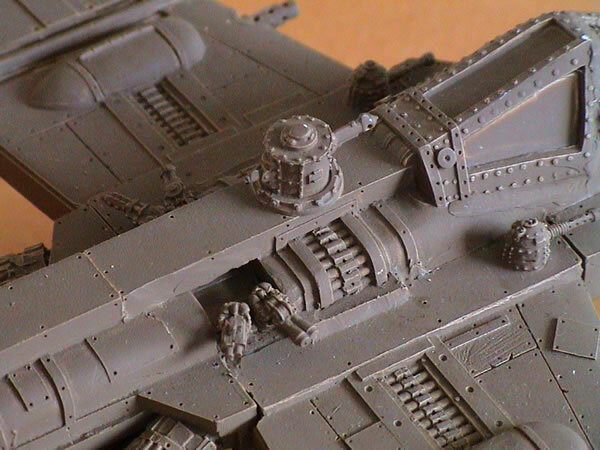 The basic plane had turrets added (one from a squiggoth, two from Bowelburnas), buggy gunners (as belly gunners) and some pulsa rokkits added underneath as bombs. The tail fin was left off and though originally I was going to totally re-model the cockpit, in the end it was left pretty much as the FW model. 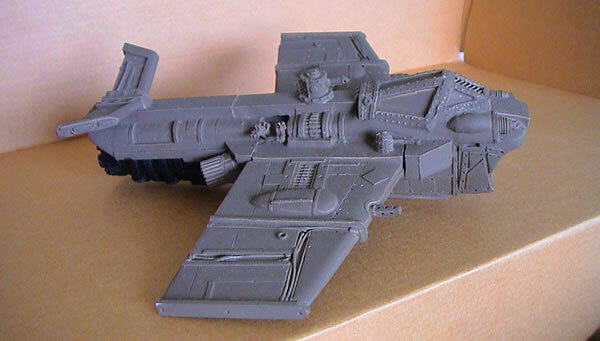 After having it "hanging around" for best part of the year, I knew that I was never going to get it finished and it would never look "right" on the battlefield (too many people would say, "that's a 40K scale model"). 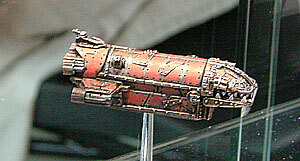 Therefore I have decided to convert the model back to a 40K scale model and use it with my 40K orks.